Nick Mason said the band would struggle to reach its dizzying heights in today's climate. The musician issued the call as he backed a campaign to stop the closure of grassroot music venues after more than a third were said to have closed in the past decade, according to research by UK Music. Mason echoed calls by Sir Paul McCartney and an array of other figures from the music world in calling for the Government to back the Agent Of Change policy which is being tabled in a Bill in Parliament on Wednesday by Labour MP John Spellar. 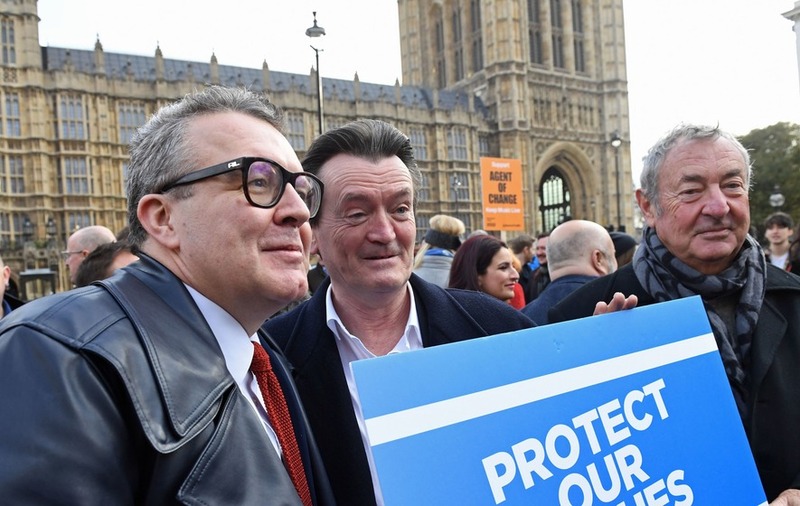 Speaking outside Westminster on Wednesday morning at a gathering of musicians, politicians and campaigners, including deputy Labour leader Tom Watson, Mason told the Press Association the change in law was vital to protect the UK’s smaller music venues. He added: “More and more of these small venues are disappearing. He added: “I think people assume you just transit from picking up a guitar to playing the O2, there’s a really tricky part between …. learning to play, developing a fanbase and making your initial recordings. “That’s learning the trade, the apprenticeship,” he added. The principle would force property developers to consider nearby clubs, bars and gig venues before proceeding with construction, placing the onus on them to find solutions to potential noise issues for their future tenants. For example, they could be forced to fund extra soundproofing for the venue to avoid the risk of new residents complaining. Chief executive of UK Music and former Labour MP Michael Dugher said the cross-party backed Bill was an “SOS to ministers to act and act urgently”. He said the next Ed Sheeran may struggle to succeed in the future as they cannot hone their craft in small venues. Other stars lending their support include Feargal Sharkey, Craig David, Nadine Shah, Chrissie Hynde and Billy Bragg. Among the venues that have had to fight the threat of closure are London’s Ministry Of Sound and the 100 Club while Bristol’s barge-based venue, Thekla, is among others in danger. Campaigners are also battling to protect the Womanby Street music quarter in Cardiff from developers while last year The Square in Harlow, which hosted Coldplay, Blur, Supergrass and Muse when they were starting out, closed as a result of a planning dispute. The Agent Of Change is currently included in planning guidance but can be ignored as it is not compulsory in England, Scotland or Wales. At the end of last year, London mayor Sadiq Khan added the principle to his draft London Plan while the Welsh government has pledged to introduce it in future planning policy.